Beatriz Busch, the public health secretary for the state of Rio de Janeiro, said two of the injured were in stable condition and one was in critical condition. “Those who died were athletes,” she added. 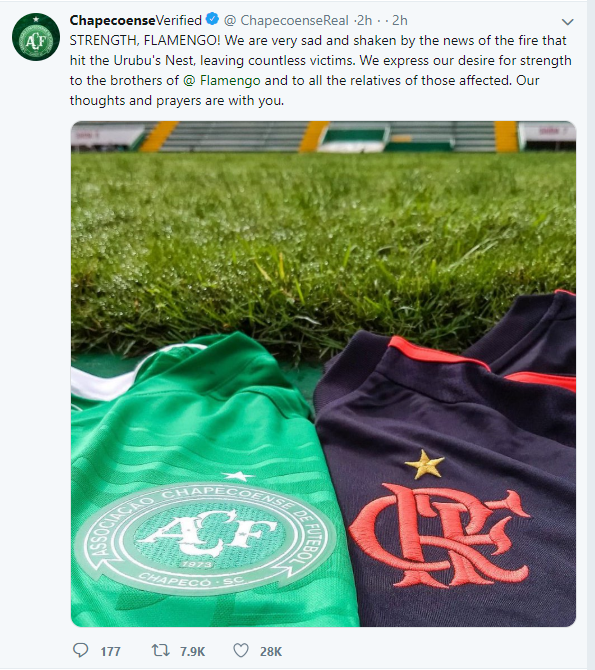 “We are distraught,” Flamengo president Rodolfo Landim said outside the complex, where friends, fans and neighbours gathered, some forming a circle to pray. Flamengo are arguably Brazil’s most famous club, with an estimated 40 million fans nationwide. Among the most famous to come through the club are Zico, a former No 10 for Brazil’s national team; top goal-scorer Adriano, who rose to fame at Inter Milan; and current Real Madrid star Vinicius Jr, who not long ago was living in the structure destroyed by the fire.